Onesty & Wright, P.C. 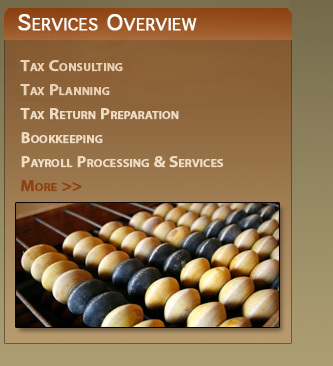 is a CPA firm located in Fairfax, Virginia providing accounting and tax services for clients throughout the metropolitan Washington, D.C. area. As a smaller firm, Onesty & Wright, P.C. has a friendly, casual atmosphere. Clients benefit from our exceptional, personalized service and a commitment to being responsive and proactive. Ken Onesty received a Bachelor of Science degree from Randolph-Macon College in Ashland, Virginia in 1977. He subsequently received his Certified Public Accountant (CPA) certificate in 1988. Sam Wright received a Bachelor of Science degree in Accounting from George Mason University in 1986. He later received a Masters in Taxation from George Mason University. He received his Certified Public Accountant (CPA) certificate in 1987.